What is the unique approach of Fascinating Education? Dr. Margulies flips the teaching process in Fascinating Education courses by approaching science through the “right hemisphere” of the brain. He uses simple, colorful illustrations, supplemented with attached audio files to explain the illustrations. The result is an easy way to learn science. Assume students know nothing about chemistry, biology or physics. Slice the information very thin. Present the material slowly and clearly – in plain English. Show how chemistry, biology, or physics explains or solves some real-life observation or problem. Dr. Margulies uses questions and answers to engage students in an interactive relationship. Lessons begin with an everyday observation, then Dr. Margulies asks why that happens. The answer to his question generally elicits another question. The process is repeated one step at a time, in simple English, without terms of art. Terminology is used, but is not a prerequisite to understanding. Dr. Margulies gives a road map for each curriculum so that students understand why they are learning each topic and how they can apply this knowledge to their everyday life. Dr. Margulies uses testing as an additional opportunity to teach the material and to ensure the student is progressing. 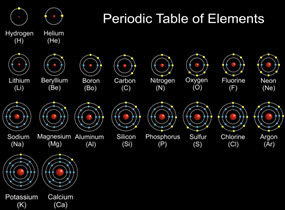 Each question on the tests for both Chemistry and Physics contain help buttons with an explanation of the material in a slightly different manner than the original lesson. Consequently, the student has another chance to understand the material without the fear of failing. The net result of Dr. Margulies’ approach is an efficient and effective way to learn science. It is a solid program for use in school, after school, home school, or simply to understand the world around you. Complete Fascinating Chemistry, Fascinating Biology, and Fascinating Physics and you will never look at the world around you in the same way. What are the results of this methodology? Why Is this learning approach appealing? 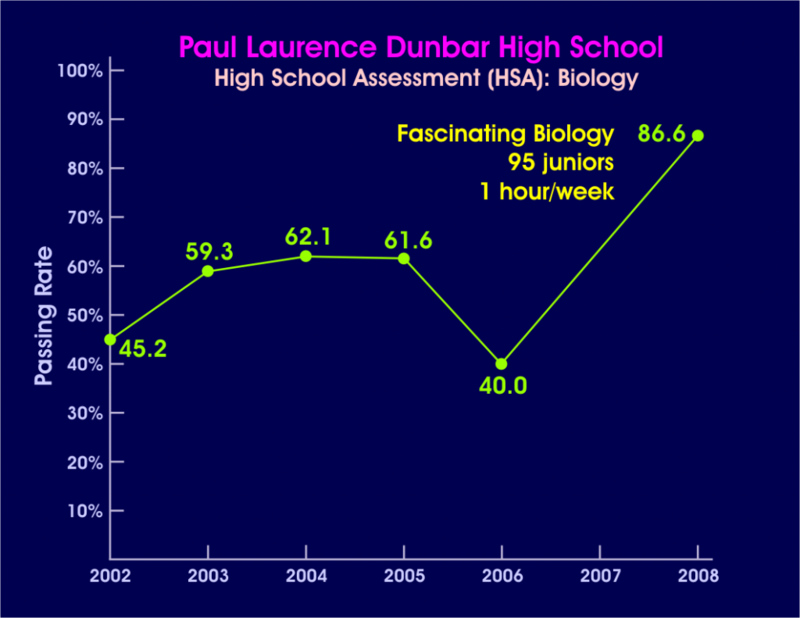 The Fascinating Biology curriculum was field tested for 1 hour a week with 95 juniors at Dunbar High School in Baltimore, Maryland. Students’ standardized test scores in biology rose from a 40% pass rate to an 86.6% pass rate that year. Dr. Margulies (a neurologist) understands how we learn, how we focus our attention, how we retrieve information, and how emotion and motivation affect learning. He uses this knowledge to create science courses that focus on scientific facts while eliminating unnecessary complexity. Dr. Margulies engages the student by bringing a real-life touch to all the lessons so that it is clear why the material is important for them.